How Vivian Howard, A Chef's Life and local visionaries are revitalizing downtown Kinston. Faded newspapers plaster storefronts. Peeling paint slowly tears itself from historic facades. Going-out-of-business signs declare the century’s greatest deals. Weeds lay claim to sidewalk cracks. Aside from the occasional passing car, time seems to stand still. Economic decline and changing industries have forced rural areas across our state to redefine their identity. Efforts to revitalize downtowns have been met with limited success. It’s a story that’s playing out on main streets throughout our state. And 10 years ago, it’s a story that was all too familiar to Kinston, North Carolina. After decades of dormancy, Kinston’s downtown has defied the odds and become a food and beverage hot spot sought out by folks from across the United States. With national attention from Chef Vivian Howard’s popular PBS show, A Chef’s Life, Kinston is in the midst of transformation. On any given weekend, local Kinstonians, fellow North Carolinians and folks hailing from California to Texas to New England walk the bustling streets together. They come, not only to experience the decadent and buzzworthy Chef & the Farmer restaurant, but to explore the growing foodie scene and arts movement. Community transformation and redevelopment isn’t easy. It takes time, investment and commitment. 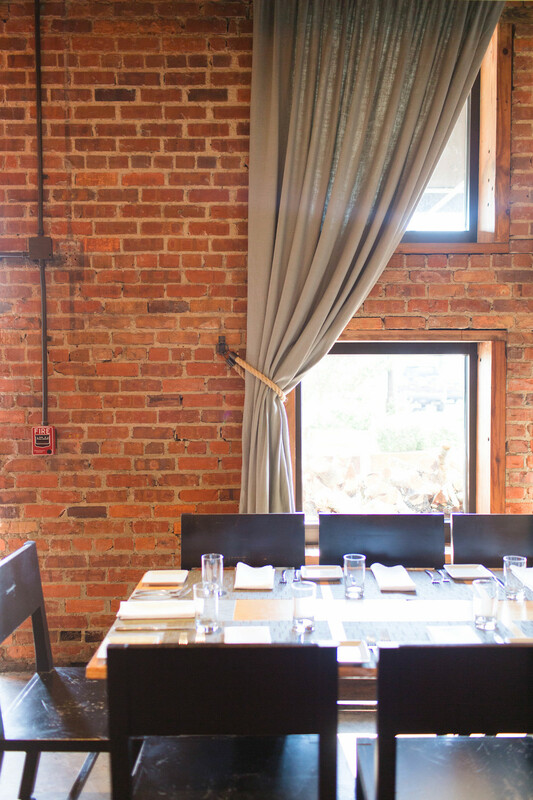 While Vivian Howard’s Chef & the Farmer is the catalyst to the town’s rebirth, the Kinston we see today is the result of a community of folks working to create something exceptional. In an era where youth and talent are fleeing rural NC for metropolitan areas, Kinston is attracting a generation of young people committed to living sustainably, rebuilding the local economy, and working towards a better, community driven Eastern North Carolina. Meet some of the places and faces behind the movement. If you’ve seen A Chef’s Life, you know that, at one point, Vivian Howard had no intention of returning to Kinston. “I thought as a young person that in order for me to be successful I had to leave home, forge my own path, and be successful on my own,” remembers Vivian. If you’ve seen A Chef’s Life, you also know it’s an understatement to say her thoughts on that have evolved. After years of working as a chef in New York City, Howard found her calling right back at home. For 11 years, she and her husband Ben Knight have worked (and worked) to build their restaurant, Chef & The Farmer, into a Eastern North Carolina foodie Mecca and to create a Kinston they hope their children will want to return to as adults. All that time and heart seems to be paying off. Vivian and Ben now employ over 70 people through Chef & The Farmer and, its sister restaurant, Boiler Room Oyster Bar. Young people from all over are moving to Kinston to be a part of its rebirth — and for the first time in a long time, they even have places to go for entertainment after work. Food, family and community are at the heart of Vivian’s commitment to Kinston. “I love it here. I love that I take my kids to school and I feel like I know everyone. I like that I know my neighbors and that my neighbors are my family,” she says. The menu of Chef & The Farmer and the show inspired by it are elevated love letters to the rural, agricultural based culture Vivian wanted to leave behind so many years ago. The restaurant has built a reputation for an exceptional and innovative menu that revolves around the season. For Kinston, food and beverage are helping attract new talent and draw young folks back. “My goal when deciding to relocate [to Kinston] was to make more money in an environment where I had fewer bills and a better commute,” says Matt Hart, head brewer at Mother Earth Brewing. “These things can happen a lot easier in a small town,” he adds. Mother Earth opened in 2010 and quickly became a crucial downtown anchor. Co-founder Stephen Hill has been a key player and champion of Kinston’s revival and, in addition to the brewery, he has opened several other ventures downtown including a luxury boutique hotel, The O’Neil, and a music venue, The Red Room. Kinston's rebirth hinges on tourism, and the town needed a local beverage industry to help foster a growing food scene. 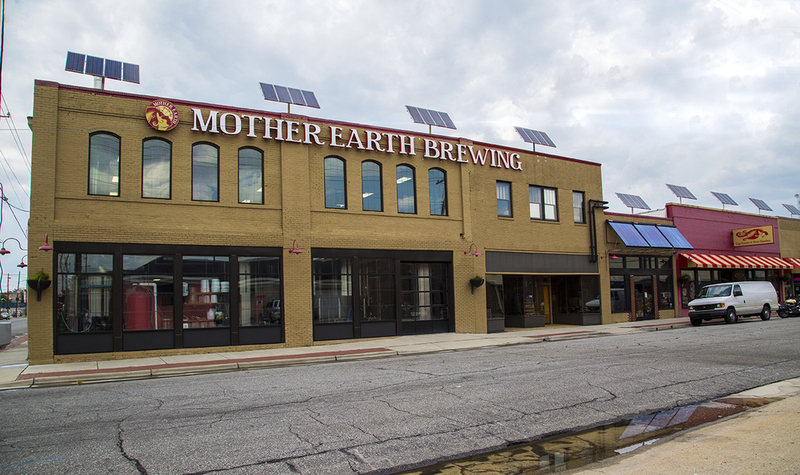 With four flagship beers, seasonal offerings and special brews, Mother Earth is now an important player in North Carolina’s craft beer movement and it’s drawing beer lovers and talent, from near and far, to Eastern North Carolina. 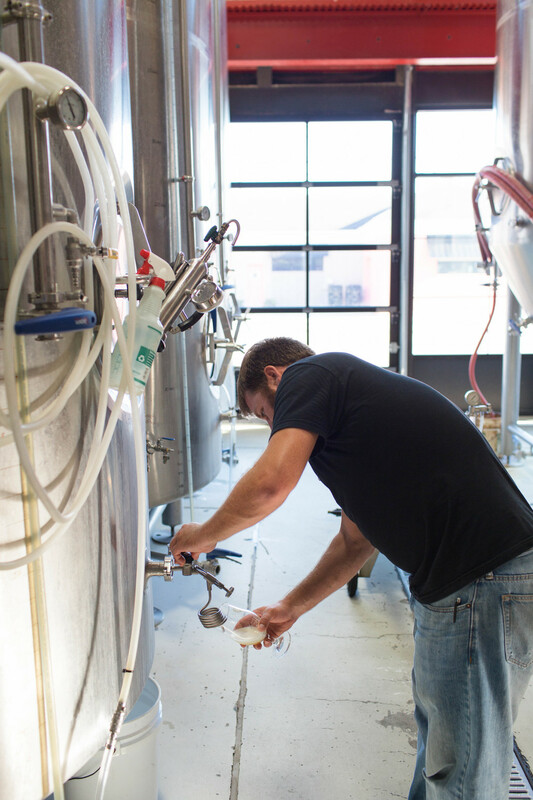 A Chapel Hill native, Matt left North Carolina for school in New York where he received a Masters in Economics before pursuing a brewing career in Boston. Brewing for 8 years now, he moved to Kinston four years ago, shortly after Mother Earth opened. “It’s really exciting to be in Kinston right now,” says Eric Montagne. “We’re able to compete with what’s going on in bigger cities from a culinary standpoint.” Eric, the executive chef of Boiler Room Oyster Bar, is another person bringing folks back to downtown Kinston. Opened in 2013 by Vivian Howard and Stephen Hill, Boiler Room offers a fresh take on the iconic Eastern North Carolina oyster bar. Eric, who was raised in North Carolina, attended culinary school in Colorado. Drawing from his career in fine dining out west, he now brings elevated gastro-pub food to his home state where you can expect quality food without the fuss. Guests enjoy a fine selection of local oysters, juicy burgers with house-aged beef, perfectly assembled appetizers, house-made hot sauces and accompaniments, craft cocktails and draft beer in a comfortable, airy environment. The Smoked Fish Toast is Boiler Room’s take on Fish Dip. Every bite is perfect. Made with fresh North Carolina monkfish, the fish is brined for a day and smoked in-house. Mixed with housemade lemon aioli, dill, ginger, shallots, and garlic, the dip is topped with a pickle variation of celery, red onion, and breakfast radishes, and garnished with micro dill to balance out each bite. The K-Town Cubano Burger is made from 21-day dry-aged meat that’s ground in house daily. Souced from Smith Angus Farms in Snow Camp, the burger is topped with house-smoked ham, chimichurri, swiss cheese, house made tarragon pickles, and finished off with yellow mustard. “It’s exciting to see a crop of young professionals moving [to Kinston] and helping to bring a new energy to downtown,” says Ben Harper. Owner of Buy Local Art Gallery, Ben is a part of that new crew. Buy Local Gallery is a stone’s throw away from Boiler Room and Mother Earth Brewing. Part art gallery, part studio, part weekend wine bar, and part event space, Ben makes a lot happen at his storefront. A back-room workshop provides space for Ben’s screenprinting studio during the week, but it’s the weekend visitors who come for the art and the wine that really bring Buy Local to life. Ben has curated a rotating collection of exclusively North Carolina artists including Alex Matisse Pottery (Marshall), John Silver Oil Paintings (Manteo), Caroline Perry Pottery (Kinston), and Michael Waller and Leah Foushee Waller (Durham). Among the gallery’s rotating collection is owner Ben Harper’s very own Venerable Bench Collection. Ben custom crafts tables and benches from rare vintage cypress and hand wrought American Steel. “I strive to be unique and different,” says Joey Hughes. As sushi chef at Ginger 108, Joey’s tackling the challenge of introducing people, who aren’t necessarily accustomed to eating raw fish, to sushi. Ginger 108, another of Stephen Hill’s ventures, places an emphasis on sustainably caught seafood. By merging “a west coast style sushi, that's really fresh and really light” with unexpected southern ingredients like sweet potatoes and collards, Joey has converted sushi naysayers into believers. After 7 years living and working in Lake Tahoe as a professional chef, a back injury brought Joey back home to his native Kinston. He had every intention of moving back to California after recovering. Joey says, “When I moved back to Kinston, I never expected to stay and be rolling sushi.” Today he’s behind only high-end sushi bar in Lenoir County. “I love what’s going on in downtown Kinston and being a part of it. This transformation is like night and day. Seven years ago, I didn’t have any reason to come downtown. Without these businesses there would be nothing. We were a textile industry city...and when we lost all textiles, we had nothing going for us,” he explains. Bass press box. Bottom to top. Sushi rice, cucumber, tomato shade sushi rice, avocado, hybrid striped sea bass, pickled eggplant, green onion, yuzu and Wasabi vinaigrette. Adam Dempsey tourches the Rhapsody Roll while Joey prepares the rice for the bass press box. Rhapsody roll includes Ponzu marinated Ahi tuna, carrot, squash, cucumber inside and rolled. Rice outside. Yum yum sauce torched and plated with panko breadcrumbs and ninja sauce. “I’ve eaten all over the country and the food we are producing in Kinston, as a whole, is so on point. It’s bangin’, it’s so good,” says Joe Kavanaugh, who is helping to expand Kinston’s palate with Olvera Street Taqueria where he serves up tacos, burritos, enchiladas and more. With unexpected offerings like catfish and scallop verde ceviche tacos, Joe brings North Carolina influenced, West Coast flair to downtown Kinston. chorizo tacos on corn tortillas with queso fresco and pickled red onions. The chorizo and pickled red onions are made in house. The corn tortillas are made by a local family that owns a tortillaria and tienda called La Azteca.